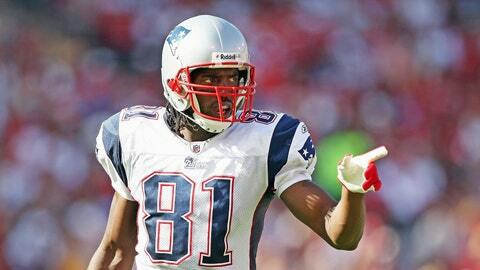 Randy Moss totaled 982 receptions, 15, 292 yards and 156 touchdowns in his 14-year career. Fox Football Daily analyst Randy Moss joined The Peter Schrager Podcast (download on iTunes) for a very candid conversation on Tuesday. The 14-year NFL veteran addressed a wide range of topics and nothing was off limits. Can Moss still compete in the NFL at a high level? "If I had to go out here and feed my family by getting back on that football field, I could still put up 15 or 16 touchdowns. I can still play the game. I don’t know what a lot of people [saw] last year, but I know what it looked like. It looked like I was old and that they were trying to keep me fresh and things like that, but I can still play the game of football. "I’m not going to play the game of football, but for me to be able to still go out and still catch touchdowns, I can still run. I can still catch. I still got vision. If I still got those things, if I still have the things that God blessed me with, then why can’t I be able to go out there and put up 15 or 16 touchdowns? I can still do it. Age is just a number to me." "When I was in high school and college, it was football. When I became a professional football player employed by the NFL, that was my occupation. That’s the thing that a lot of young players are struggling with because they think what they did in college, from the partying and the mingling out in the streets, that that can continue when you get in the league. But they don’t understand the business. So, I was able to slowly but surely learn the business." How did falling to No. 21 overall in the 1998 NFL Draft provide motivation? "The only thing I remember is the Chicago Bears saying they were going to take me and they ended up taking Curtis Enis out of Penn State. The Dallas Cowboys said they were going to take me and they took Greg Ellis. …"
"I was very discouraged. My mom was discouraged. Just seeing the disappointment on her face is what really amped me up to really go out here and try to destroy anybody they put in front of me." Moss’s three wide receivers he enjoys watching the most in 2013? His answers may surprise you. Calvin Johnson, Andre Johnson and AJ Green didn’t even make his list.